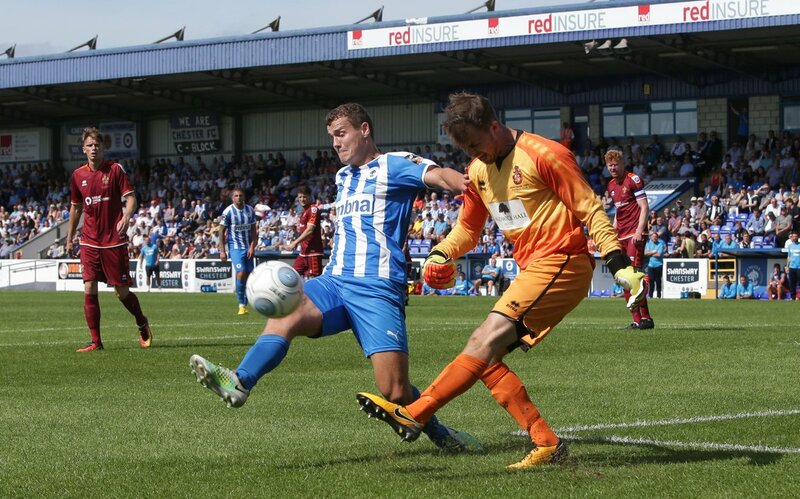 The Blues’ season opener in the National League North ended in a stalemate with Spennymoor Town at the Swansway Chester Stadium. Joint Managers Anthony Johnson and Bernard Morley included new signing Shaun Tuton in their starting line-up, with the former Barnsley striker looking impressive alongside Anthony Dudley leading the line. With twenty minutes on the clock, the new man had his first chance of the game. Following some excellent work in the box, Tuton nearly directed his effort beyond Matthew Gould – only to narrowly put his effort wide of the mark. But Spennymoor had the closest chance of the first half to open their account for the season. Rob Ramshaw poked his effort past Grant Shenton, but Danny Livesey was on hand to clear the ball off the line and away from danger. Early into the second half, and Tuton was causing further problems for the Moors defence. After getting in behind Stephen Brogan, the Blues forward struck a brilliant effort from the edge of the area, but Gould pulled off an excellent finger tip save to deny him. Deep into the second half and the Blues went the closest to snatching the winner. Dudley picked up the ball in the area after Tuton cut the ball back, but the on-loan Salford City man struck the cross bar from within the penalty area. The game was a real end to end affair as the final whistle approached, Stephen Brogan’s left footed drive whistled towards goal but Shenton was across to make an excellent one handed save. John Pritchard was then brilliantly denied by Gould as his 30 yard free kick looked destined for the top corner – but it ended all square. 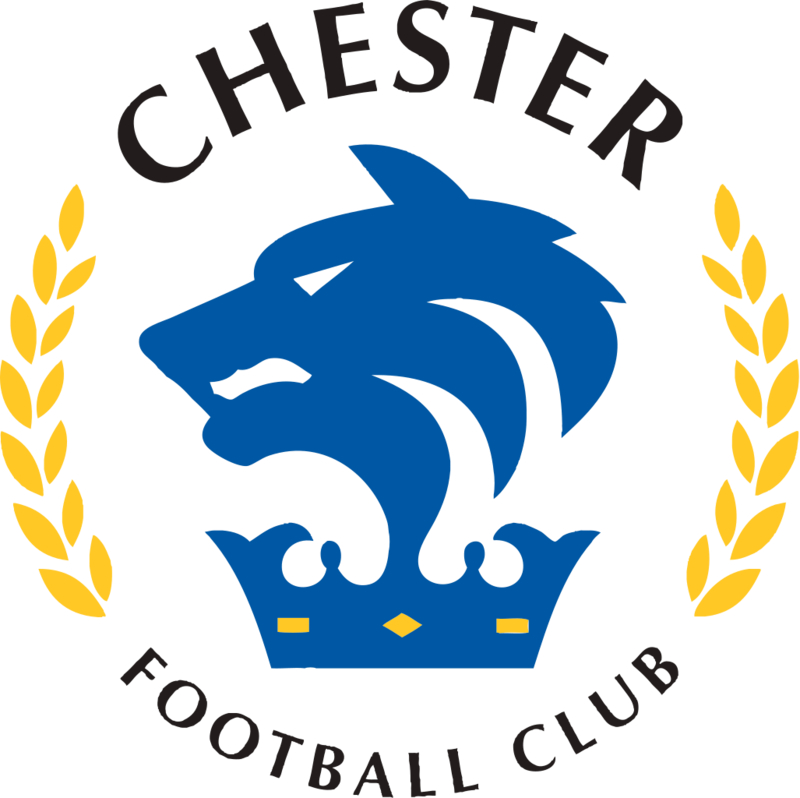 Chester: Shenton; Howson, Livesey, Grand; Smalley, Roberts, Stopforth, Mooney (Mahon 64), Pritchard; Tuton, Dudley. Unused subs: Moran, Thomson, Brown, Downes.